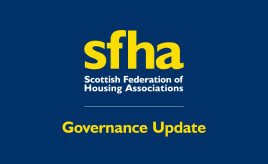 SFHA Chief Executive Sally Thomas provided oral evidence to the Local Government and Communities Committee on 29 November 2017 regarding the Housing (Amendment) (Scotland) Bill. Michael's blog follows the latest meeting of the SHR Working Group. This is the first of the new appointments to be made to the statutory Commission. 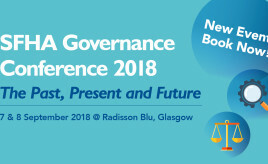 The Scottish Housing Regulator (SHR) has outlined proposals for its new regulatory framework at this year's SFHA Governance Conference on 7 September 2018. SFHA commissioned Linda Ewart to develop the guidance, and examples from the sector of approaches in practice are identified throughout. Atrium Homes held its 20th Annual General Meeting on Tuesday 28 August 2018. 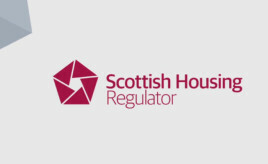 The Regulator’s report gives the headline findings of its fifth, national analysis of landlords’ performance against the Charter standards and outcomes. Barrhead Housing Association held its 32nd AGM at the Foundry on Tuesday 28th August 2018.